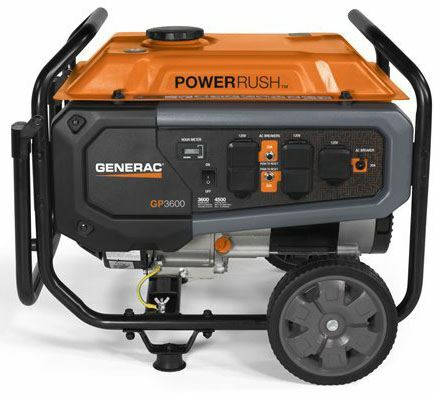 The GP3600 portable generator is an excellent choice for emergency power when backing up multiple appliances. Featuring PowerRush™ AVDANCED TECHNOLOGY, it delivers 40% more starting capacity allowing you to do more with less. 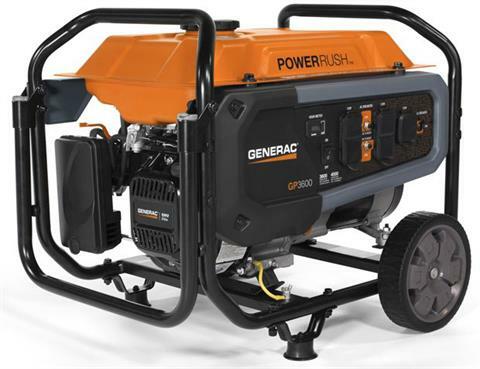 POWERRUSH™ ADVANCED TECHNOLOGY: delivers 40% more starting capacity allowing you to do more with less. 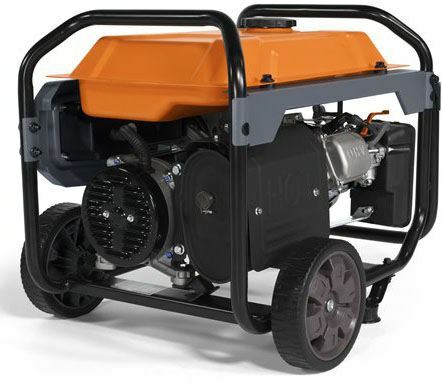 GENERAC'S OHV ENGINE: with splash lubrication provides a long engine life. COVERED OUTLETS: provides added protection from the environment and rugged working conditions. HARDENED 1 1/4" STEEL TUBE CRADLE: for added durability and strength. FOLD-DOWN, LOCKING HANDLE: for sturdy portability and compact storage. HEAVY-DUTY, NEVER-FLAT WHEELS: or reliable portability. Run time @ 50% rated load - 9.3 hr.